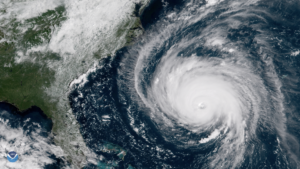 Whether or not you were impacted by Hurricane Florence, if you are in an affected area, then you should update your business listing information. Hurricane Florence approaching North Carolina. NOAA satellite image taken September 12, 2018 (NOAA Environmental Visual Laboratory). Unaffected businesses: Use your business’ website and social media platforms to confirm that you’re open for business, and post current images or video to show visitors local site conditions. Subscribe to the visitnc weekly NewsLink to stay on top of additional resources as they are made available to affected tourism business. All businesses: Enhance your climate readiness before the next storm! FEMA claims process: How Do I File My Flood Claim?